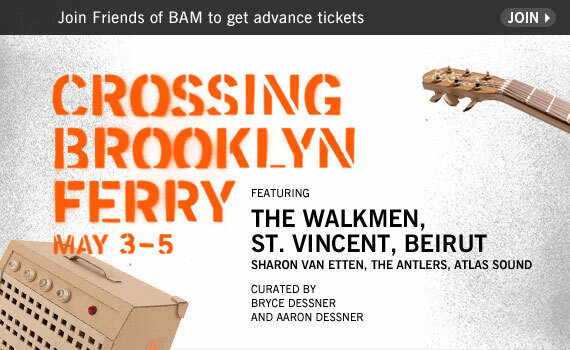 Starting today, get early access to Crossing Brooklyn Ferry—Bryce Dessner and Aaron Dessner’s (The National) three-day festival showcasing commissioned films and over 30 bands—by joining Friends of BAM. Members can purchase festival passes now and get access to single tickets beginning March 8—four days before the general public. Full Crossing Brooklyn Ferrry lineup (ft. The Walkmen, St. Vincent, Beirut, Sharon Van Etten, The Antlers, and many others) after the jump.